A clock! Just like the arena! 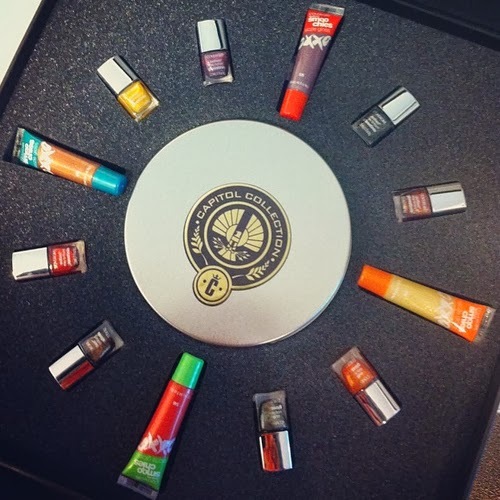 But over at Fashionista... they've got the scoop on the ENTIRE Hunger Games Capitol Collection from CoverGirl! So... I wondered when I first saw the Flamed Out collection, if that was actually going to be the Hunger Games Collection, and from what I've seen, there's a LOT of crossover between the two. Makes sense, I guess. 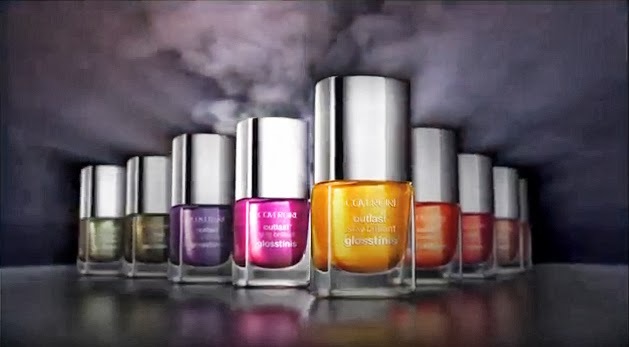 If it bombs, they can just pretend it was going to be limited edition all along, and if it succeeds... well, the Flamed Out collection is a way for our favorites to live on! Either way... on to the actual polishes! You can add the new shades to your cart, but as far as I can tell, they're not yet available for purchase. Fashionista posted a pic of the bottles, so I made it into a fun collage and tried my best to match up the shades with the appropriate names. Please keep in mind that as of right now, these are my best guesses and may not be 100% correct. 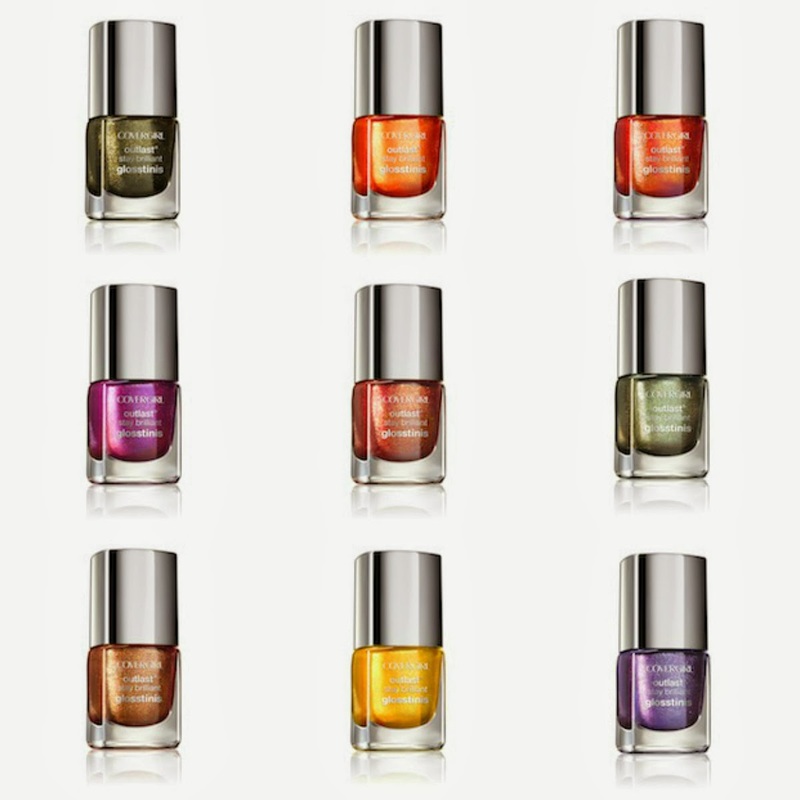 I'm not entirely sure which polishes I'll be picking up. I think this collection is one of those that I'm going to need to see in person before I rule out any colors. 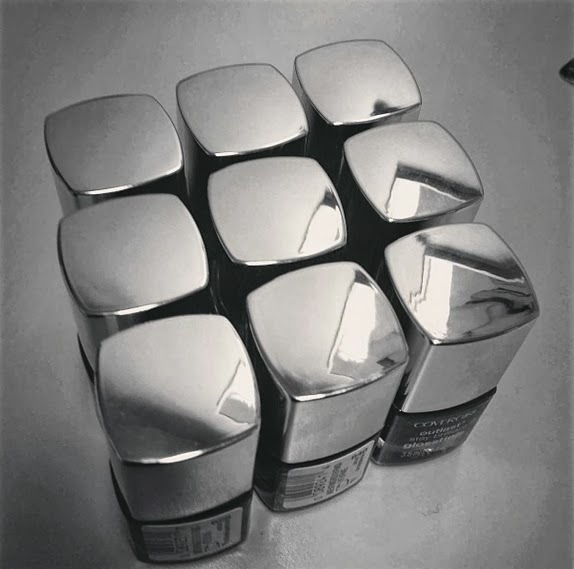 Swatches would probably help, too... Metallic finishes can be sooooo hit or miss. I'll be stalking this collection closely! 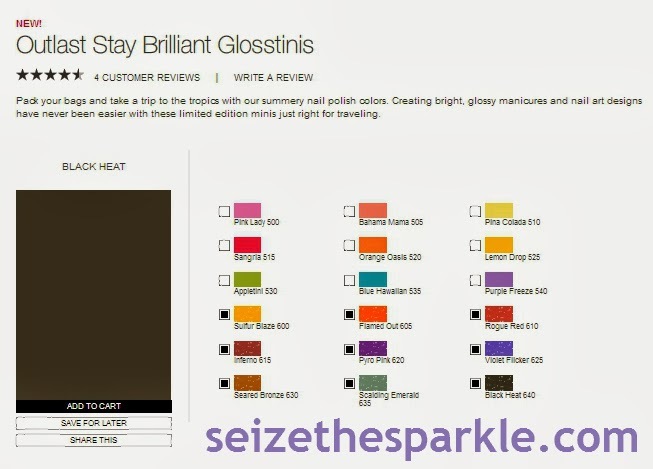 What do you think of the Capitol Collection Glosstinis? Do you know if the nail stickers are for sale yet? I have seen the display in several stores and purchased a few things, but none of them had nail stickers. I haven't seen anyone post real photos online yet either.